Before we get into the meat of this post, I want to share a little about Allison from my perspective. 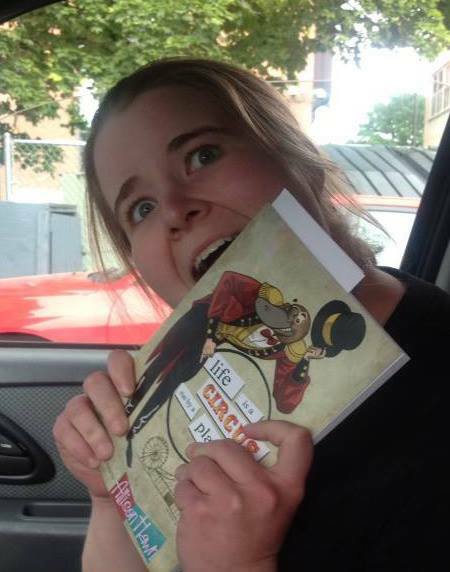 Allison Hawn is one of my best friends in the world… and she got published before me. Jerk. (I’m working on getting over this fact) Despite this, she is an amazing person, with one of the most ridiculous minds I’ve ever encountered– and I mean that as a compliment. I took this opportunity to share with my readers a little about her, and hopefully inspire you to check out her book: Life is a Circus Run by Plateaus. Allison Hawn was born in Idaho and has spent her life obtaining adventures. The daughter of a musician, she was brought up all over the United States with occasional dalliances into foreign lands. She holds a degree in psychology from Northwest Nazarene University in Nampa, Idaho, where she also had a weekly humor column with a small time newspaper The Crusader. 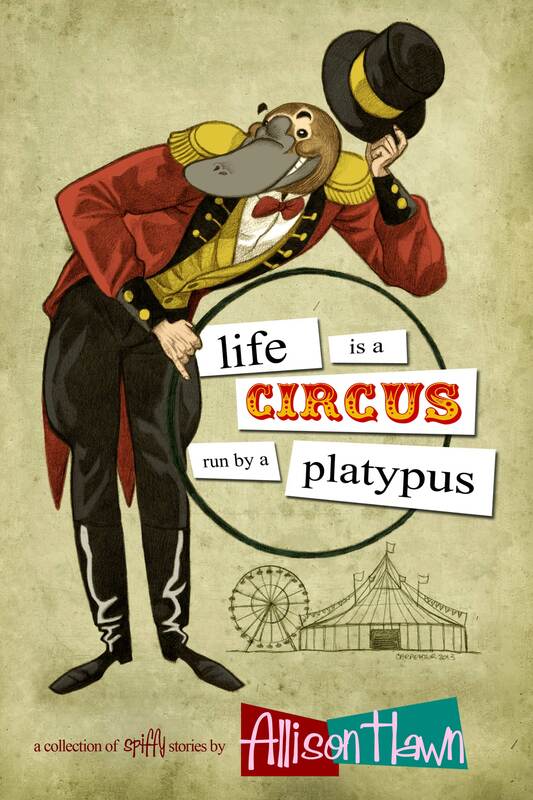 Life is a Circus Run By a Platypus is her first creative published work. She currently resides in Spokane, Washington, where she works with the homeless population, domestic violence victims, and other disenfranchised populations to help them find employment, but calls a myriad of locations home. I would have to say I was extremely influenced by both Patrick F. McManus and Dave Barry. Both men did an excellent job taking the day-to-day drudgery and making it absolutely hilarious. I am also greatly inspired by Agatha Christie, despite the fact that I don’t write murder mysteries. Christie taught me the important lesson that the most interesting and effective people and characters in the world are those that are not exactly normal. I get up and move around. I go to the gym and weight lift, or cook something interesting or have coffee with a friend or go on an adventure. I’ve discovered that if I can take my mind off of whatever I’m working on for a while and let my body get some of my wiggles out, I can usually refocus again. I fought a dragon using only my wits, my manuscript and a purple pen. In defeating the dragon, I then had to run through a gauntlet of vicious snakes and fire to obtain the contract, which could only be signed with Athena’s pen that I had to barter my non-existent first born to get. Only then, was I published. Ok, in reality, I spent a good amount of time doing research on publishing companies and finding ones that take humor submissions. There are not a lot out there that will publish humor books. When I got a list together I then sent in submissions to quite a few, and got just about as many rejection letters back. However, Sweatshoppe Publications read my book and decided to turn it from computer bound ramblings into a bona-fide book! What resources do you suggest to aspiring writers? Other writers. No seriously, network as much as you can!